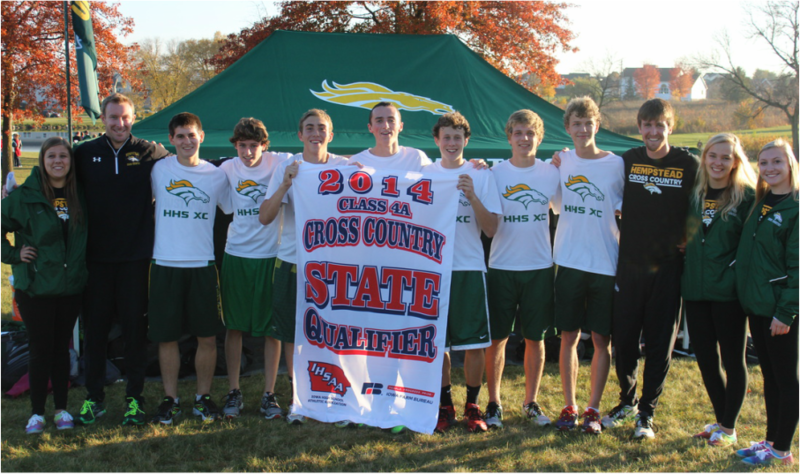 (Follow us on Twitter @hempsteadxc) 11th place finish at State Meet! Vision = Consistent and safe summer training means: five days a week of focusing on the little things like warm-up, dynamic stretching, myrtle routine, conservative training, core, and strength training! Standards = "You better raise your standards, because we are not going to lower ours!" High standards are necessary for a program to become ELITE. Extremely high standards will be demanded and expected because we know that it will give us an edge. Standards apply to practices, strength training, nutrition, sleep, social life, academics, and relationship building (family, school, community)! When have you invested in something to such a degree that in the end (whether a positive or negative outcome) you have been moved to tears? Do not sacrifice what you want the most, for what you want at the moment! Leadership needs to positively influence everyone to train. Negativity has no place on HHS XC team! Balance Competitiveness with the TEAM: "I love you man, but I want your spot!" No such thing as a "big meet"...we competitively execute at ALL XC meets!